After the 'red sky at night' yesterday, we woke to blue skies. 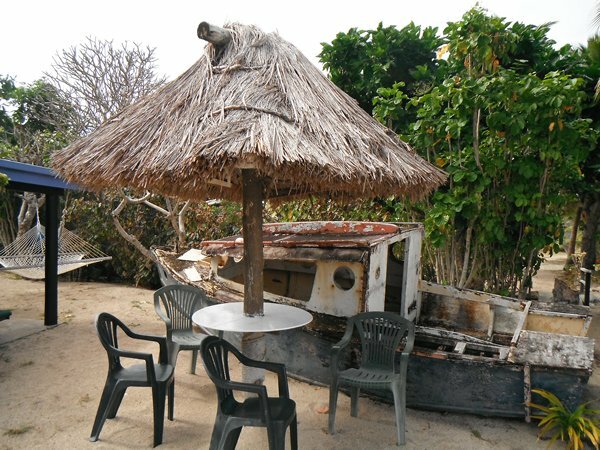 If good weather, the plan was to leave Makogai early and head for Nananu-I-Ra island on the north-eastern corner of Viti Levu, the main island of Fiji, a passage of just over 50 miles. 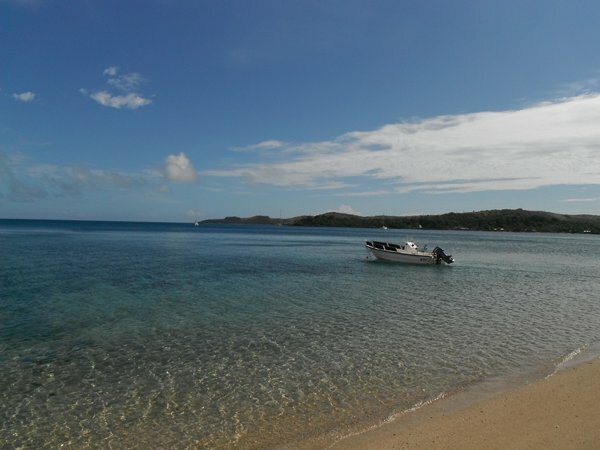 The original intention had been to head for the Island of Naigani and then go inside the barrier reef that surrounds a lot of Viti Levu and follow the waypoints that many other boats have used going between the fringing reef and barrier reef. Working our way through the reefs would have probably been under motor and a slow process. 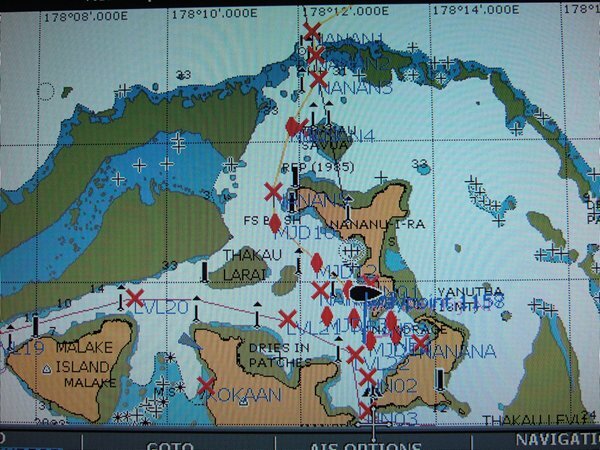 However, another yacht we met who had made the passage to Nananu-I-Ra the last 4 years had sailed the whole way outside the reef and came inside the reef via the Nananu Passage, just to the north of Nananu-I-Ra. Not fancying motoring all day, that's what we did and it was one of the best sails we have had for a very long time. Although we changed our heading to negotiate the outlying reefs, the wind allowed us to carry both headsails fully out and poled out all the way. Apart from a few miles at the end it was a 50 mile down wind passage, making between 5.5 and 7.5 knots the whole way, with an apparent wind of only 6 to 7kts. What made it even better was that the reefs we passed sheltered us from the swell, so the sea was virtually flat, so no rolling. It was a bit like going downwind in light winds in the Solent for 50 miles. What's more the sun shone and there was hardly a cloud in the sky the whole day. What a difference a day makes! Nananu-I-Ra, being on the corner, attracts a lot of wind a lot of the time and the wind did come up to 20-25kts as we approached it and came inside the reef. 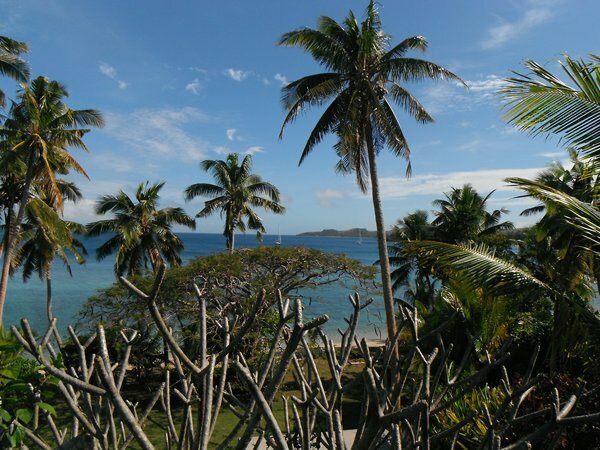 With this consistently strong onshore wind it's one of the main centres in Fiji for kite surfing and windsurfing. 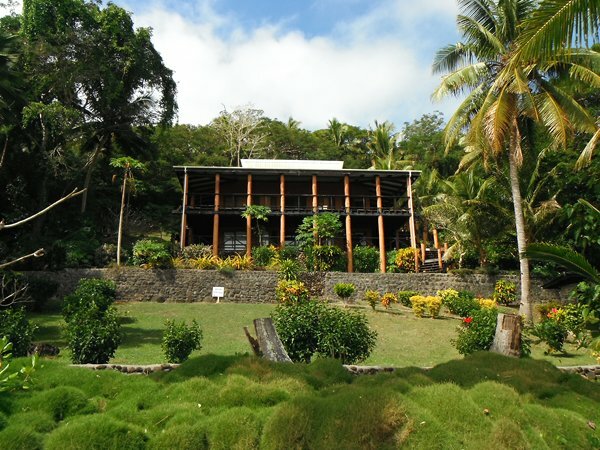 There's several backpacker resorts on the island together with some very flash (expensive) holiday homes that well-to-do Kiwi's have had built. top left (shown in more detail below). 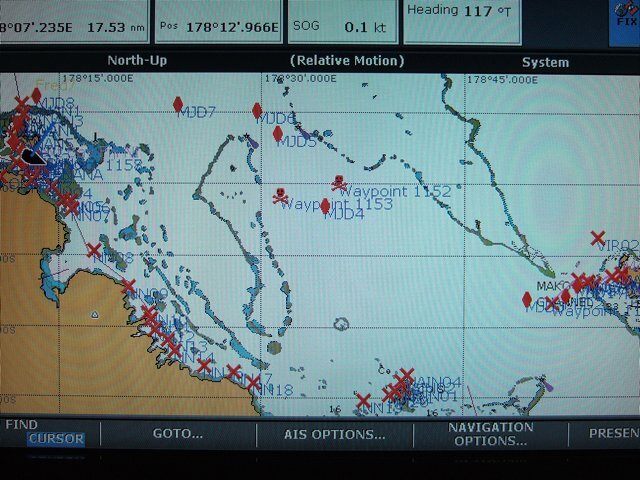 the wind change and we need to us them, and the originally planned route from the south. 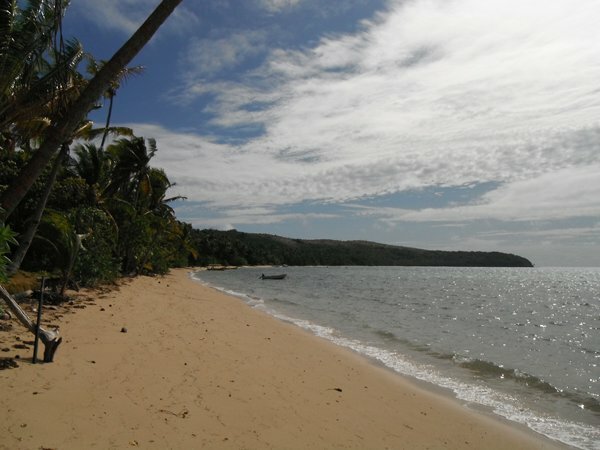 The main kite surfing beach. and it's not a swimming beach. A little way further along the beach we came across this. Not a bad holiday home!